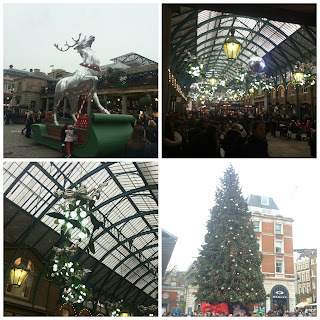 Beautiful You: Blogmas Day 2 | Christmas Weekend In London! 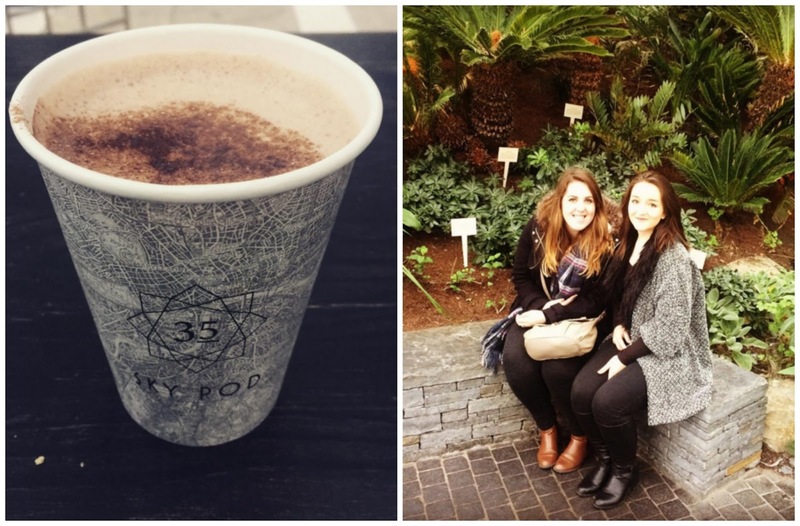 Blogmas Day 2 | Christmas Weekend In London! 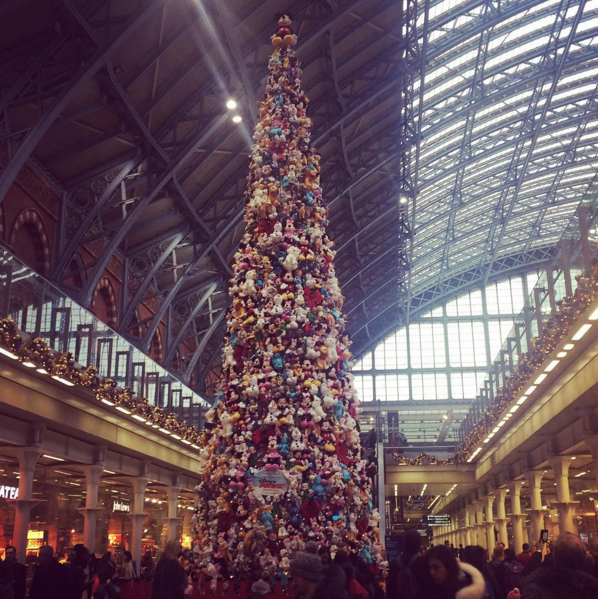 So today is the second day in December and I thought that I would share with you what my sister and I got up to on our annual Christmas trip to London! The original reason we went to London was because we booked tickets to see Elf The Musical, *pause for excitement*!! The musical is only in London for ten weeks and we were determined to see it, if you can still get tickets I would definitely recommend going as it was so much better than the film. We arrived in London on Friday in the afternoon after getting our hair done and basically headed straight to the hotel to drop off the luggage before heading to the theatre. The musical was at the Dominion Theatre near Tottenham Court Road so we made our way there and then found ourselves a Wagamama's for dinner. After dinner we went to see the show and as I said earlier I absolutely loved it, I'm not a massive fan of the film but the musical was better by far! After this we headed to the Sky Garden, this is something that my sister and I had always said we wanted to do and we thought that this trip would be a good time to go. I do have to say that I am a sucker for a good view so when we came out of the lift to the view of London I was in awe, to me there is just something so amazing about seeing a large city from above! It was quite cold up there so we couldn't go out on the balcony so instead we decided to have a hot drink, or if your Emily a glass of wine, to warm up a bit and admire the view. 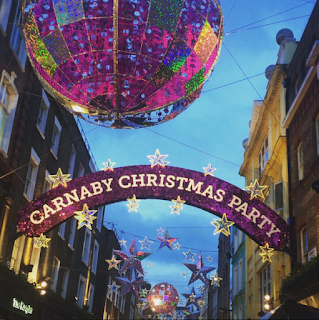 Next we headed to Oxford Street because we wanted to see the Carnaby Street Christmas lights as they looked amazing this year and they didn't disappoint, they are the best lights I saw in London all weekend. After this we just mooched around the shops, looking for Christmas presents and generally just enjoying being in London. Another reason why we were in London was to go for our annual trip to Winter Wonderland, this year the event of choice was The Magical Ice Kingdom. 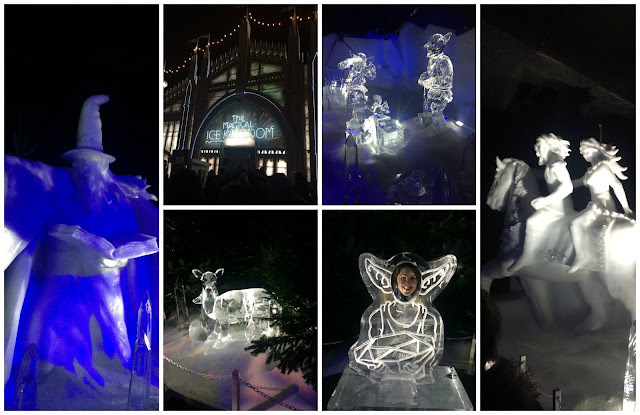 Now I had been ill the week before so I was all bundled up and prepared for the cold because it is kept at -8 due to the ice sculptures! I wasn't really excited but it was really amazing, the sculptures are so intricate and its amazing how they are made. There is also a slide that you can go down but they don't give you anything to sit on so I definitely didn't go down. After going through the Ice Kingdom we got some food and just had a browse around the market stalls they have there because they have some really cute Christmas decorations! Lastly on the Sunday before we came home we took a trip to Southbank Christmas Market because we stumbled across this last year and it was really good so now we always make the effort to go back, plus they have the most amazing Dutch pancakes there! Me and my sister also really wanted to see the Disney Christmas Tree that has been put up in St Pancras train station so we made a small detour there to see that and it was the cutest! 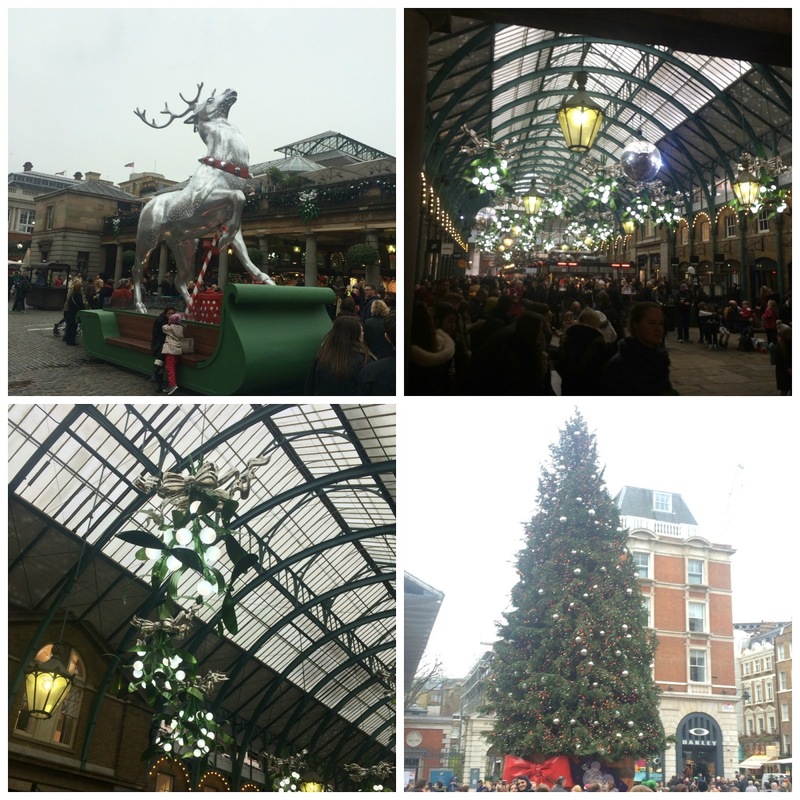 So that is all that we got up to on our Christmas weekend away- I love London at Christmas! Are any of you going to Winter Wonderland, what events are you going to be doing, let me know in the comments below!